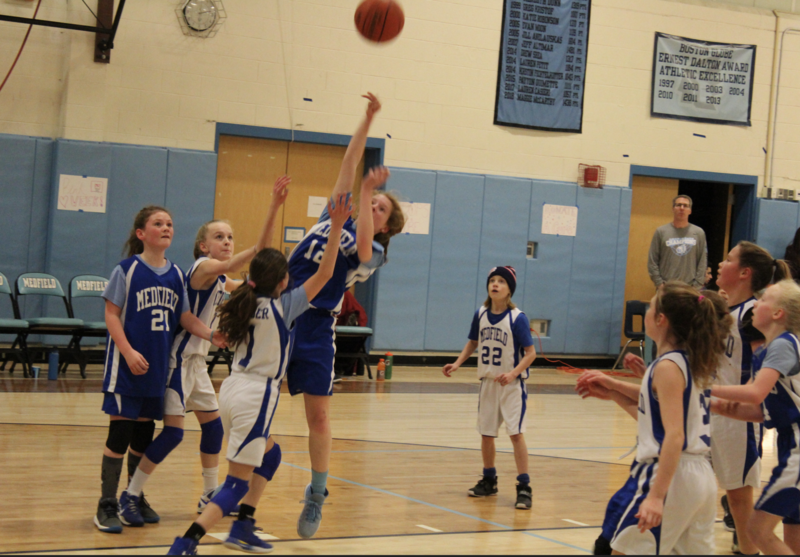 Congrats to the Medfield Boys 4th Grade Blue Team for winning the Division 5 Championship with a 33-25 win over Arlington. 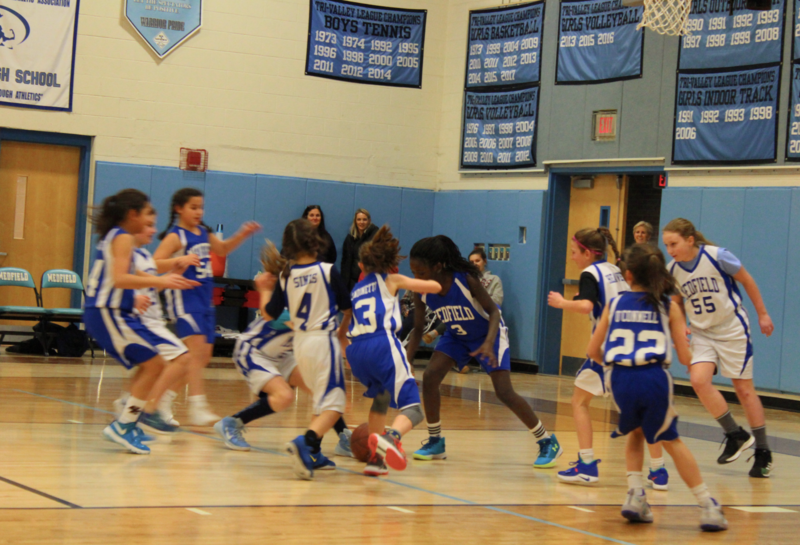 Boys 4th Grade Div 5 Champs! 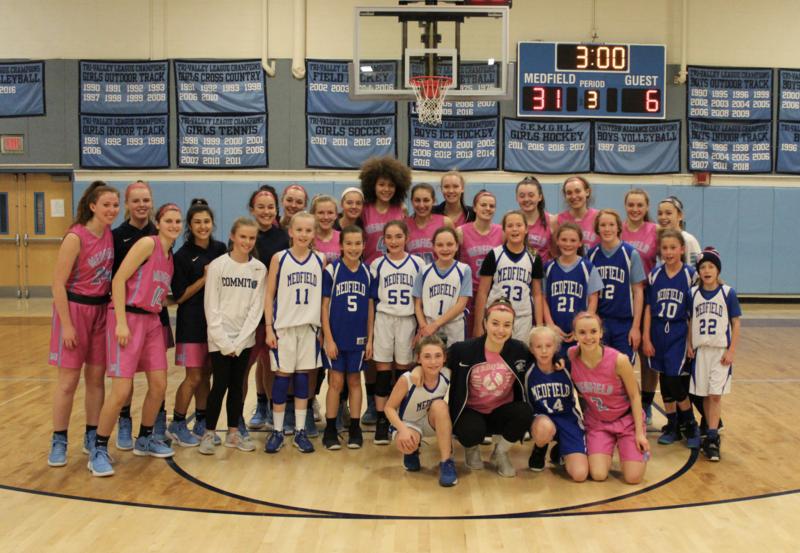 The girls 4th and 5th grade teams had the opportunity to showcase their skills at halftime during two recent Medfield girls varsity games. Want to know how to update scores? Go to the "Teams" tab at the bottom, select your team, click on the "Messages" icon, then the + sign in the top right. Clicking in the "To:" will give you the option to select individuals or the entire team. 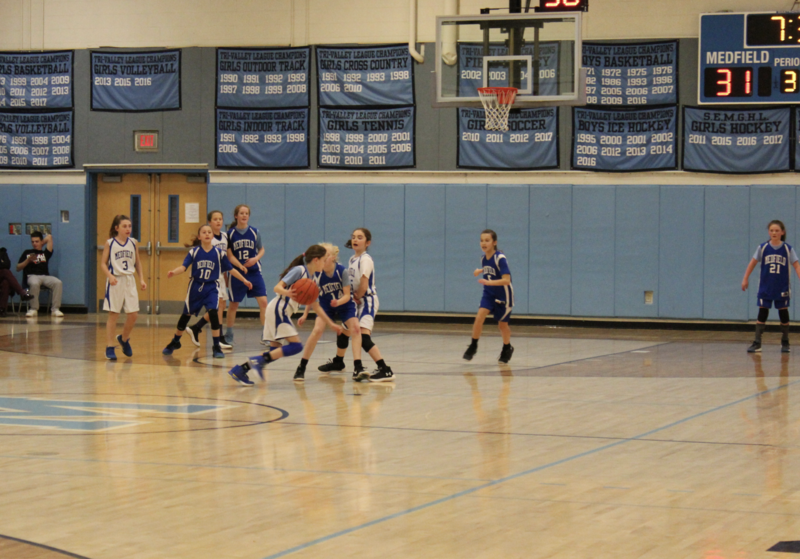 Medfield Youth Basketball’s MISSION is to provide a safe and balanced learning environment for players of all abilities that develops the skills, character, sportsmanship and teamwork of Medfield school children grades 1-8. 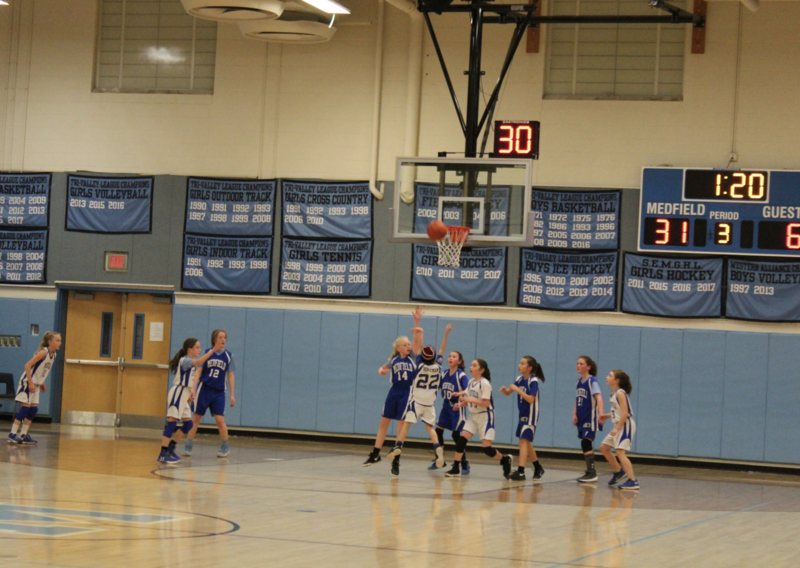 Medfield Youth Basketball has in-town programs from 1st grade through 8th grade for both boys and girls. 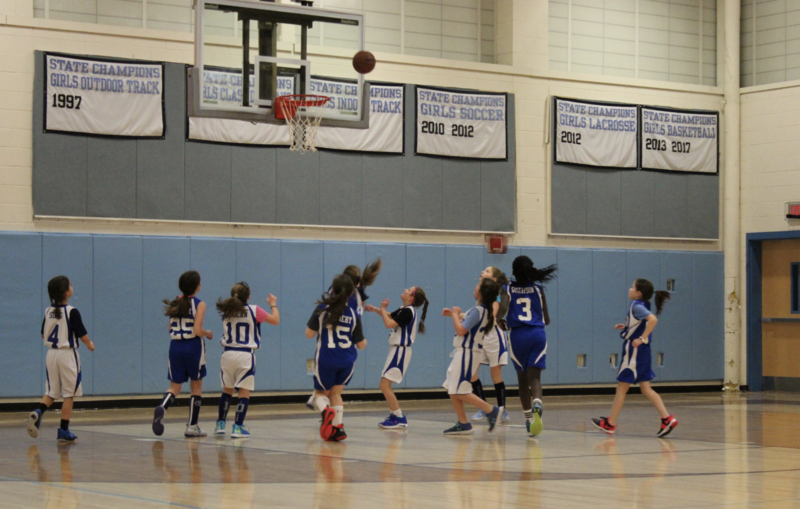 Starting in the 4th grade, kids can play in the travel program in addition to the in-town program. Click on the registration link below to sign up, there will be a late fee for registrations after the September 30th deadline. Please note that in order to tryout for the travel program you MUST be registered for the in-town program. 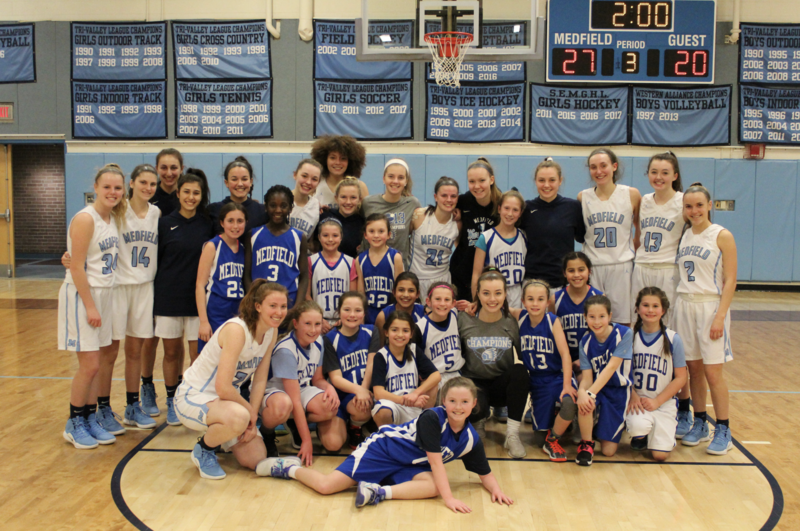 Congratulations to the 2017-2018 Championship Teams! Parent who registered, log into the SportsEngine App and Go to "My Account" (bottom right). Click on your player and go to the Guardians tab. Confused on what ball size your child needs? Click here to see what sizes are used.